Zelos is a watch brand we’ve been impressed with for some time. They specialise in brass divers with insane depth ratings. Bronze is a metal that acquires patina over time and makes every watch unique, and we really covet one of Panerai’s “Bronzo” models. 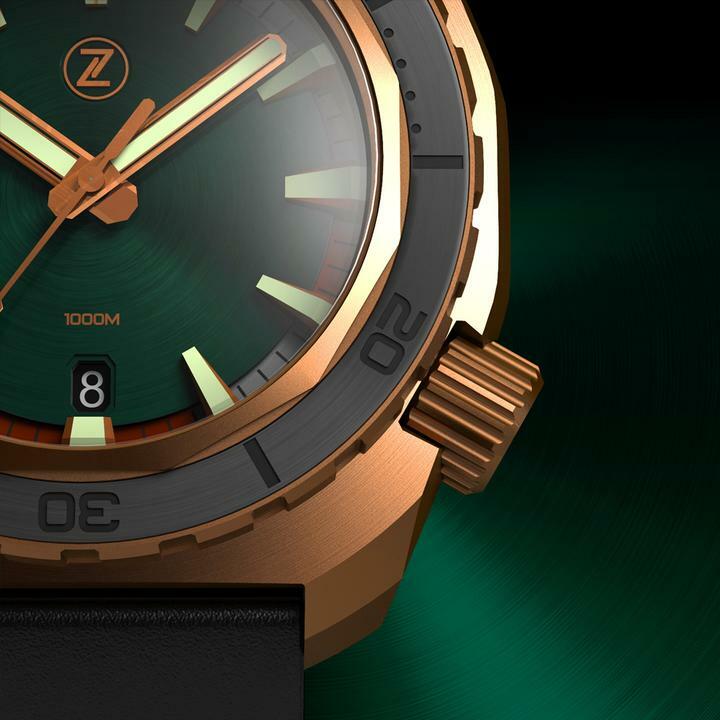 For those of us without the benefit of a filmstar salary, Zelos make a fine range of watches and they’ve just announced their latest limited edition: The Zelos Hammerhead for Watch Wonderland. Zelos’s Hammerhead 1000m “Road Trip” for Watch Wonderland is styled after the cafe racers of the 1960s. It features a rally styled chapter ring and a racing green brushed dial that is filled with lume. It has a high-quality CUSN8 bronze case and a brushed ceramic bezel. 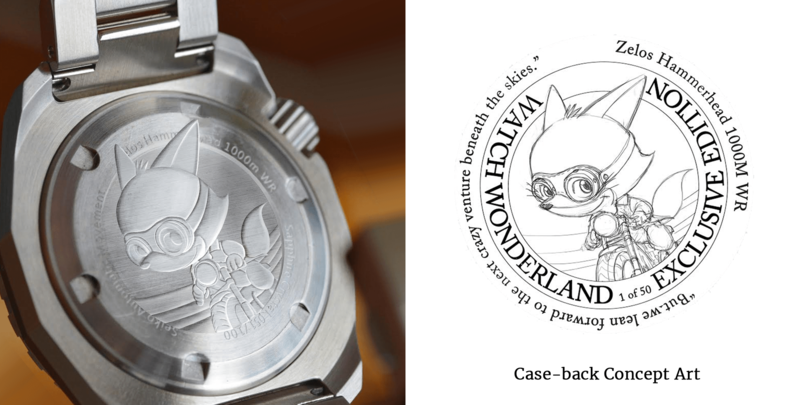 Its customised caseback features Watch Wonderland’s mascot – a fox that apparently “depicts the spirit of journey and exploration”. Watch Wonderland are a Singapore-based company who curate collections of watches from brands and watchmakers from all around the world. Beginning in January 2018, they will focus on a selection models during each of the four seasons. Their curation process focuses on Mechanical Integrity, Product Quality, Thoughtfulness of Design, Brand Story and Brand Longevity. They seem to have got some of the top microbrands on board and we at WRUK welcome anyone who can separate the wheat from the chaff of all these Kickstarter watch projects. – Strap: Black silicon. Grey canvas and brown leather straps included. The limited edition Zelos Hammerhead is limited to a total of 50 pieces and can be preordered at the Zelos website. You can find out more about Watch Wonderland at their website. If you miss out then keep your eyes peeled over at eBay as Zelos watches do occasionally come up – but they can be pricey!